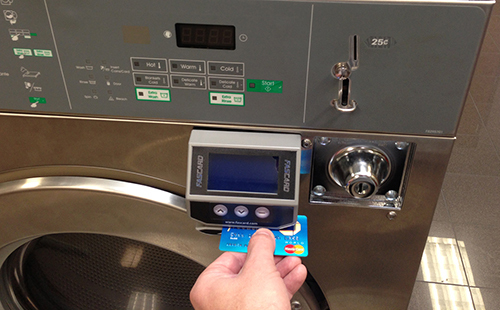 Card systems are an additional form of payment for almost any brand of coin operated laundry equipment. Cater to the growing population of card carrying customers and keep your coin carrying customers. Card Concepts Inc. is a provider of The FasCard™ system that works with existing coin laundry machines and allows you to accept credit/debit and or loyalty cards in addition to coins at your washers and dryers. Equipment System & Devices Inc.
ESD, Inc. is an equipment manufacturer specializing in the production of mechanical and electronic payment system products for the self-service laundry industry. Contact us if you are interested in learning more about how Loomis Bros. Equipment Co. card systems can make your business more profitable, more competitive, and easier to operate.